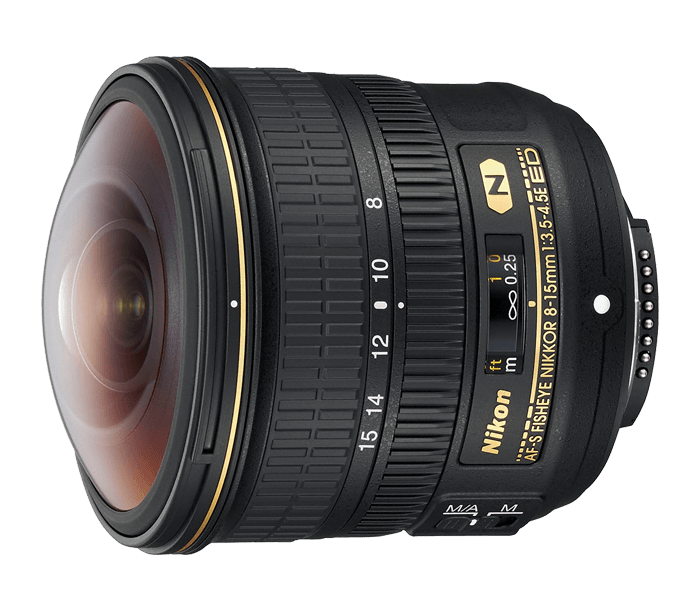 If you’re the kind of photographer or videographer who likes to think outside the box, the AF-S FISHEYE NIKKOR 8-15mm f/3.5-4.5E ED lens opens a new world of possibilities. Not only can you shoot traditional full-frame fisheye images, you can also zoom out to create fascinating 180° circular images. And you can get extremely close to your subject—as close as 0.5 feet with a 0.34x reproduction ratio—for close-up fisheye shots. Create images unlike any you've seen.